July 2016 - Body Renewal Newsletter is out! What do you see when you look in the mirror? Perhaps you were a little reckless in your youth and you see badly sun damaged and discoloured skin? You may have suffered from severe acne and are left with scars as a reminder? Perhaps your face looks great, but you wish you could hide your chest, your arms or your hands? Maybe it’s the lines and wrinkles and you wish there was a way to erase some of those annoying signs of ageing. Luckily wishes do come true! With the incredible advancements in aesthetics, we are able to make a significant difference, where previously, you simply had to “live with it”. Think of Aesthetic Practitioners as the Interior Decorators of the medical world, who use the latest tools to strip, peel, and redesign your appearance. 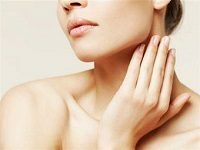 Due to fabulous advances in the aesthetic industry, we are able to non-surgically, elegantly and expertly “redecorate” your face, neck, hands, chest or even your arms or upper back, so that previous damage is minimised. With advanced resurfacing treatments like Pearl Fusion (a combination of Pearl and Pearl Fractional Laser), CO2 Fractional Laser, Fraxel DUAL, 35% TCA Peels, 3D Peels and Skin Needling; we are able to do intensive resurfacing and remodelling of deep skin conditions such as acne scarring, lines and wrinkles and unsightly sun damage and skin discolouration. When undergoing these “magic wand” treatments, we are quite literally removing your old skin, and allowing your body to regrow a newer, younger, more youthful one. And, just like a beautiful new lounge must go through a period of renovation, so too does your skin. One to two weeks of down-time needs to be factored in while your skin undergoes the process of shedding and recovering. This is why winter is an ideal time to undergo these treatments! It's colder, so you don't sweat as much, are indoors more often and are generally exposed to less sun than during the summer months. Read this month's newsletter here: "Magic Wand" Treatments!